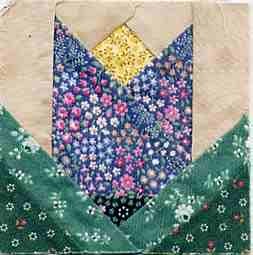 Paper piecing is easy and fun. 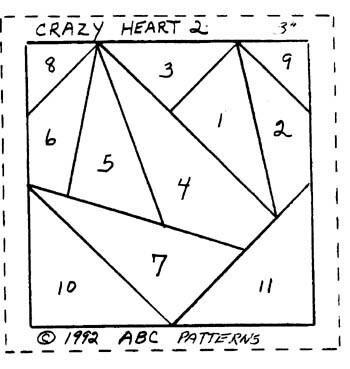 This is great for miniature patchwork, very accurate. 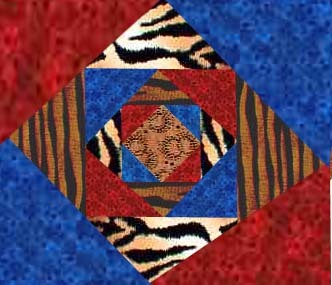 The pattern is 3x3 but you can enlarge it to any size you need. 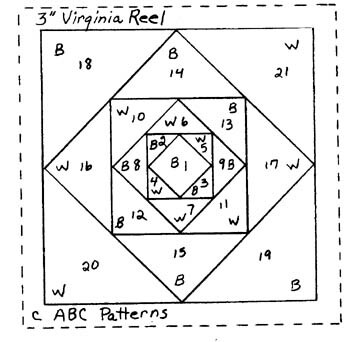 The Virginia Reel pattern comes with 12 full size patterns. 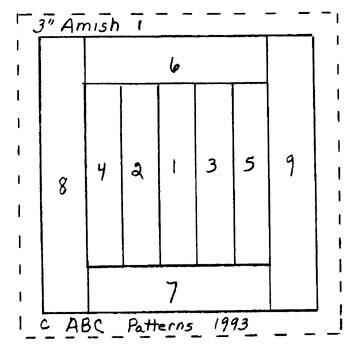 A pattern brought to you by ABC Patterns.